Interested to know more about what new and attractive stuff you may expect while visiting our stand at the Modellbrno this weekend? 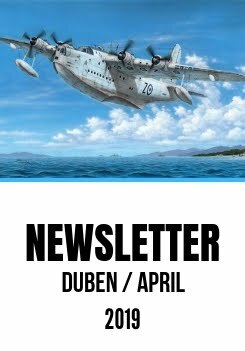 There is rather a lot of new items we have prepared for you meaning that we are going to focus only on plastic models and resin sets today leaving CMK models for tomorrow. Judging not only by the box size, but rather by its importance the greatest new Special Hobby model at the show should be the 1/32 Hi-Tech Tempest Mk.V (SH32070). 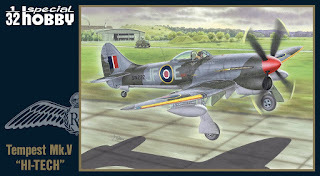 The reviews of our earlier Tempest kits published so far have been quite favourable. Now, the addition of the exquisitely detailed partial replica of the Napier Sabre power plant to the Hi-Tech release will most certainly give the maximum chances for the modeller to turn his built model into a true gem of the display case. 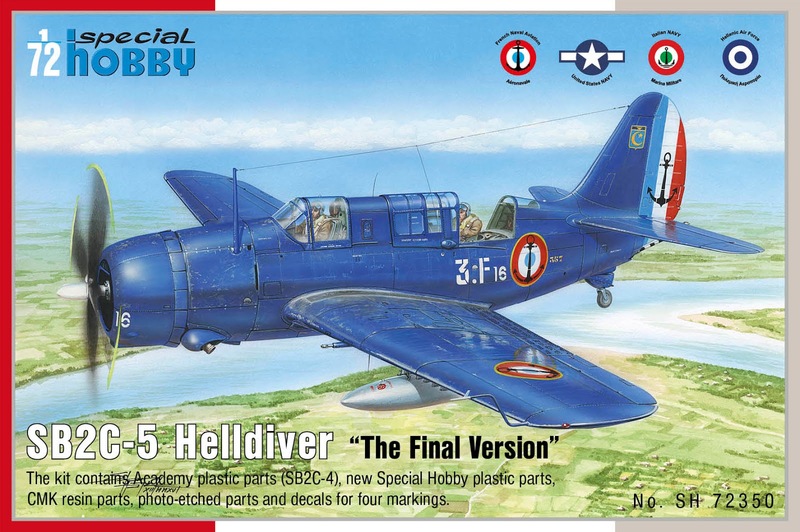 Because of a slight delay in our production, the next new item you may look forward to is the 1/72 SB2C-5 Helldiver “The Final Version” kit (no SH72350). 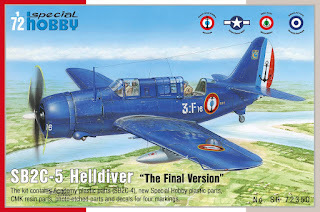 Also dubbed The Beast, the Helldiver is a reboxing of very fine Academy kit that benefits by the addition of a new sprue with a different style of propeller and bomb bay, another sprue of new clear parts, set of pe parts and detailed resin parts. The model is only a limited release. 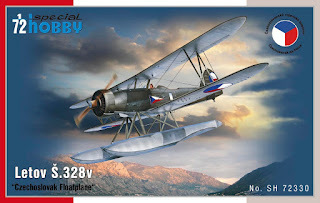 As the summer and the time for holidays is slowly approaching at last and because we Czechs do like to spend this period by the Adriatic sea, it may seem a very sensible idea to get hold of a 1/72 Š.328v kit and indulge ourselves building it there as the real Š.328v floatplane used to operate in the Adriatic too. In addition to the styrene parts, our kit brings also a set of photo etches and resin parts of the target tug winch. 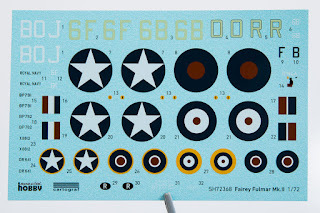 The marking options are as many as four, each of them differing from the others by having a different number of national colour stripes on fhe fuselage flagpoles. 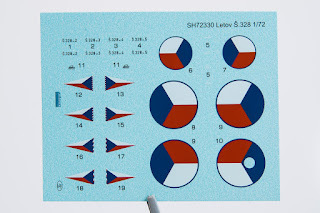 The decal sheet has been magnificently printed by our Italian colleagues at Cartograf allowing for the best resolution and quality. So why not to count the stripes yourselves? A retro-style poster with the Letov Š.328 advertisement will be also available at our stand and those of you who acquire models worth CZK 1000 or more will get their copy of the retro poster for free. The Fulmar Mk.II / NF Mk.II was a British WW2 naval aviation iconic type. During the war, only the Brits had the habit of building fighter planes with the crew of two. 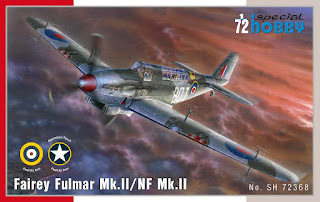 1/72 scale model Fulmar Mk.II / NF Mk.II SH72368 comes with two camouflage options for the Mk.II version and one for the night fighting NF Mk.II. 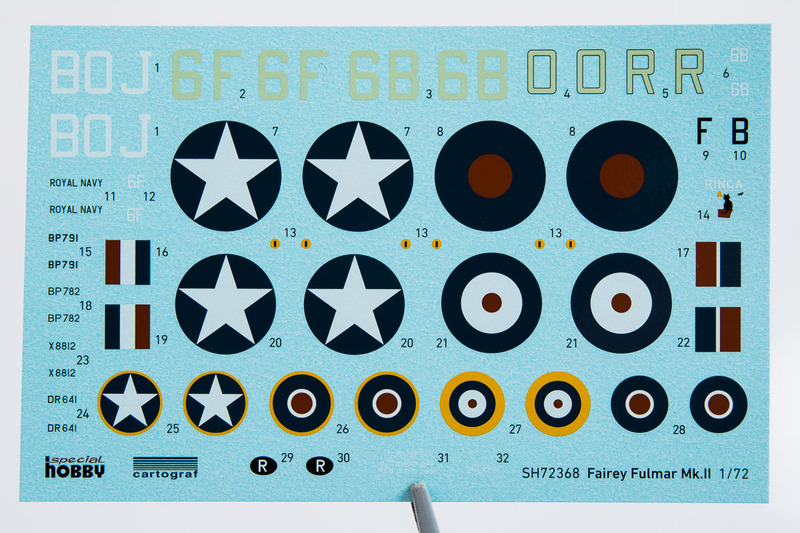 The decal sheet is also superbly printed by Cartograf, of note may be the very delicate fuselage letter edges nicely printed where appropriate. Besides the finely engraved plastic parts, the modeller also gets a set of resin wheels, gun sight and a set of photo-etched parts. At the very end of our today’s instalment of Special Hobby blog I would also like to mention a kit that has been produced here for our French partners at Azur/Frrom. 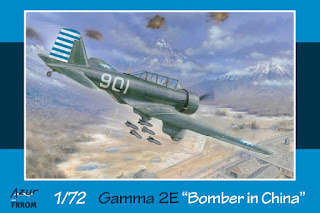 This model portrays the Gamma 2E aicraft in 1/72 scale (kit no. FR0034). By our agreement with the partners, we are allowed 100 boxes of each new kit and gladly make them available on the domestic market. 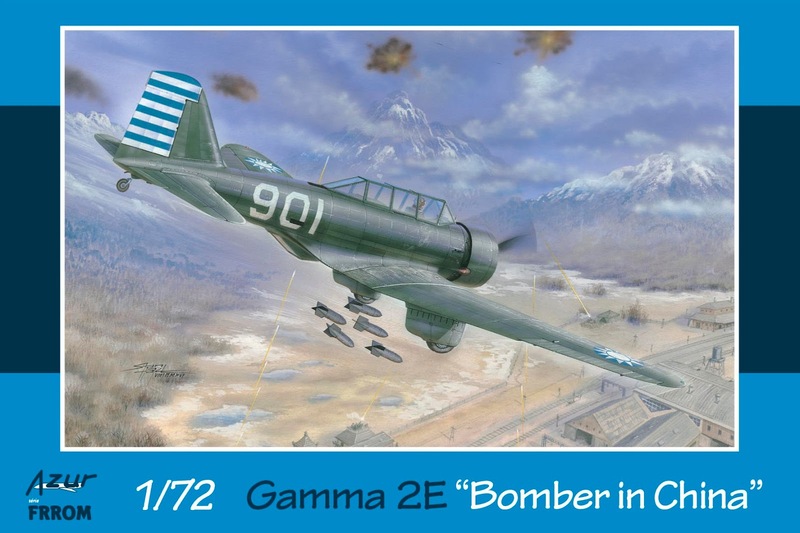 The Gamma 2E was the antecendent to the A-17/A-17A which makes her also a kind of forefather to the famous SBD Dauntless. As the type saw its finest hour during the China conflict, we had no choice than to bring you markings for three Chinese airframes, one of which wearing no undercarriage spats. There will be also one machine from the other end of the globe, the UK, that was flight tested there. 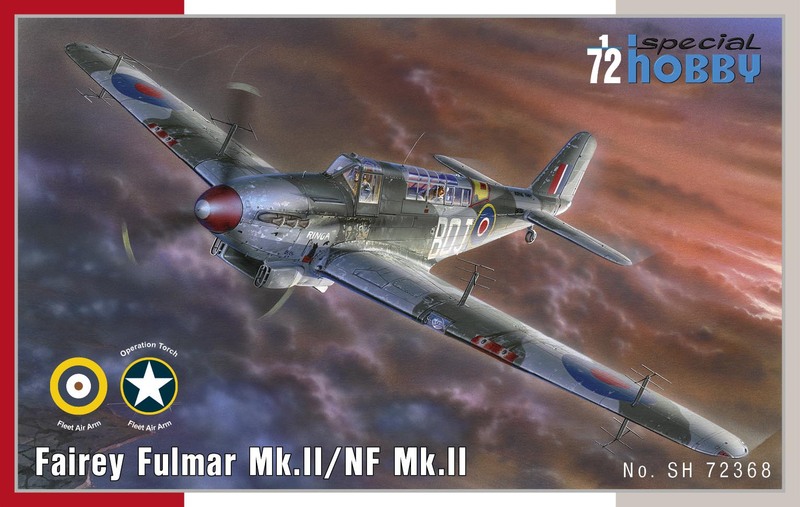 At our stand you will also be able to obtain our earlier new kits such as 1/72 SH72122 Lloyd C.V, SH72128 Buffalo, 1/48 SH48180 Buffalo and SH48177 / SH48178 Junkers Ju 88 kits, not mentioning of course the complete range of our standard production. Let me assure you now that we really look forward to be able to meet with you in Brno at the Modellbrno show. Make sure you will not miss our tomorrow’s instalment with the CMK range news. Do not forget that the preorders for Modellbrno will be available only until 14 June midnight. Do come and visit Brno this weekend and you will have pretty nice time spent with fellow modellers.